The MGS is proud to have amongst its membership many experts in their field. Several of them have authored books and here is a list, including references to book reviews in The Mediterranean Garden Journal. 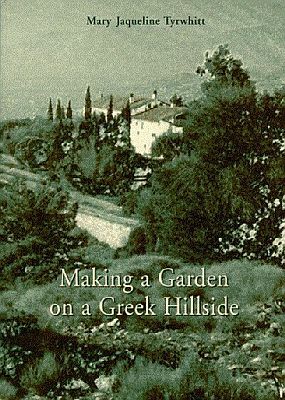 Written in the form of a diary and edited by Sally Razelou, founding President of the MGS, Jaqueline Tyrwhitt wrote this book to assist other people wishing to make gardens in a mediterranean climate. She realised that anything she managed to grow in the inhospitable conditions of a Greek stony hillside would almost certainly grow much better elsewhere. Although she was never puritanical about planting only native species, Jaqueline Tyrwhitt was a pioneer in the recognition that native plants are best adapted to thrive in mediterranean conditions. Newly re-published, this book captures the spirit which led to the creation of the MGS. Jaqueline Tyrwhitt’s house is now the legal headquarters of the Society and the garden is known as the MGS garden at Sparoza. A review of the first edition appeared in TMG Journal 16. 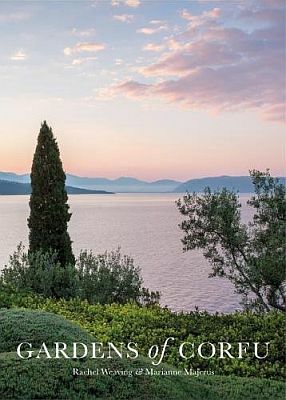 This is the first book dedicated to the gardens of Corfu. Rachel Weaving recounts “Garden makers find Corfu special not just because of its varied growing environments and the inspiration given by the natural landscapes and glorious views, but also because of its relatively damp climate, which allows the cultivation of a wide range of plants. Despite its dry summers, Corfu gets much more rain each year than most Mediterranean islands. Illustrated with stunning photographs by Marianne Majerus. Reviewed in TMG Journal 93. 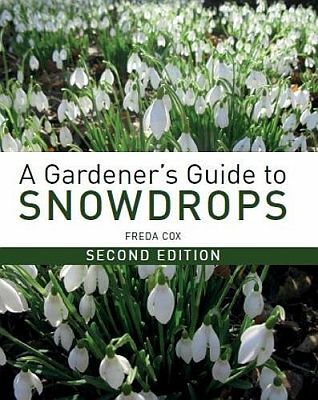 An updated and expanded edition of what was already a major, comprehensive book on snowdrops. 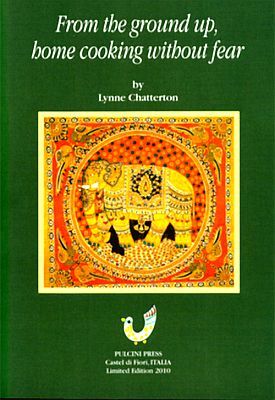 Illustrated with line drawings and watercolours by the author herself as well as evocative photographs, this is a unique and invaluable guide to the genus. The First Edition was reviewed in TMG Journal 74. By the same author: “Designing and Creating a Mediterranean Garden” (2006) and “Garden Styles: An Essential Guide” (2010). 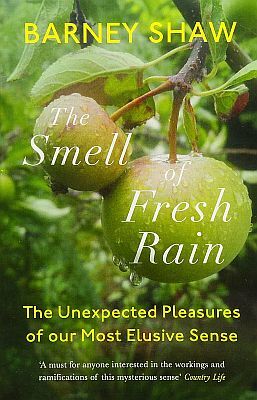 Whilst not really a gardening book, the sense of smell is all important to us gardeners, particularly in a mediterranean climate where we appreciate not just the fragrance of flowers but also, for instance, the scents of pine trees or of rain on parched earth that are so evocative and can transport us back to a garden in a different time. Reviewed in TMG Journal 91. 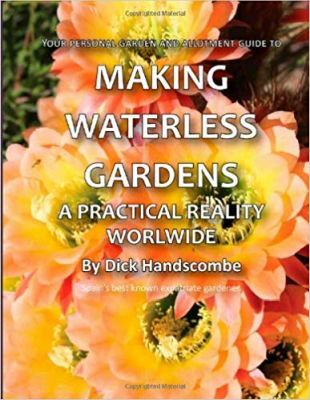 An expert and inspiring manual on different approaches to carpeting a garden with rewarding and distinctive waterwise groundcover as an alternative to the classic English lawn. The book describes some 200 choice groundcover plants for dry gardens (mentioning many more in passing), with photographs and notes on drought and frost resistance. Reviewed in TMG Journal 84. 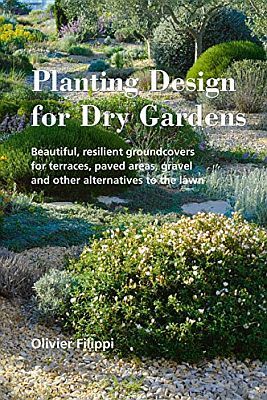 By the same author: “The Dry Gardening Handbook” (2008) and “La Méditerranée dans votre jardin: une inspiration pour le future” due to be published in English in April 2019. Click here to listen to Olivier Filippi talk about Alternatives to Lawns. 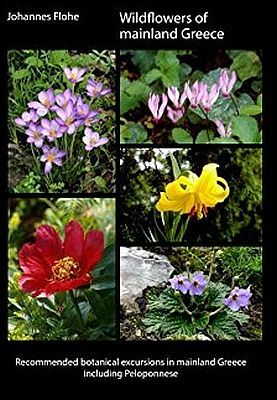 With 777 illustrations this book gives a fabulous display of the range of flowers to be found by the persistent plant hunter in Greece. Mr Flohe takes his reader in the grip of his enthusiasm and leads her to the locations of the flowers he has searched out to satisfy his own eagerness for new plants. He describes his routes and the plants he has set out to find and if and where he finds them. Reviewed in TMG Journal 86. 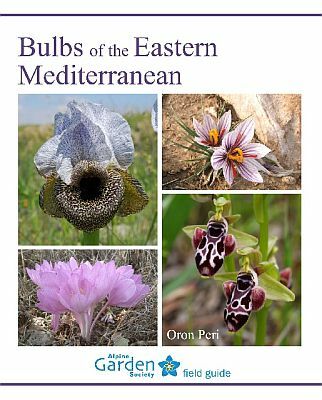 This impressive and authoritative book includes more than 400 species with over 600 photographs; it is a good size that will fit into any rucksack or bag; it covers Cyprus, Syria, Lebanon, the Palestinian Territories, Israel and north-east Egypt – an area that is very diverse in climate, altitude and geology and therefore rich in habitats and flora. An essential guide to the special flora of this fascinating region. Reviewed in TMG Journal 84. 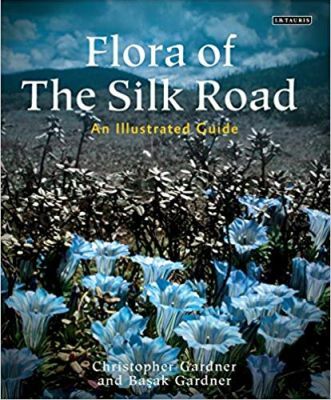 The authors retrace a route from west to east, Turkey to China, giving an account of the flora, divided into geographic regions. The plants depicted range from trees to shrubs and sub-shrubs, perennials, annuals, geophytes and bulbs. Stunning photographs show the plants in their environmental as well as geographic context. This large book is succinct, serious and informative. Reviewed in TMG Journal 80. 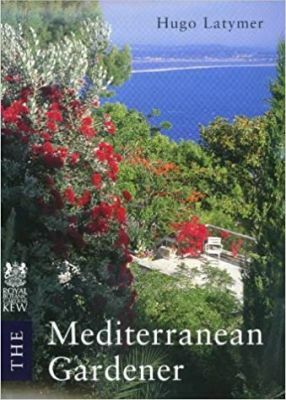 This book is a distillation, from years of experience and deep thought, of the author’s reflections on the traditional gardens of the Mediterranean in all their forms. A thoughtful outlook of the future of gardening as well as an informative discussion of the past. Reviewed in TMG Journal 74. By the same author: “The Art of French Vegetable Gardening” (1995); “Serre de la Madone. Lawrence Johnston's Garden on the French Riviera” (2003); “Nicole de Vésian: Modern Design in Provence” (2011); “Mediterranean Landscape Design - Vernacular Contemporary” (2012). A discussion of the many ways to reduce water usage in the garden, some practical others less so. Reviewed in TMG Journal 71. By the same author: “Growing Healthy Vegetables in Spain” (2006). 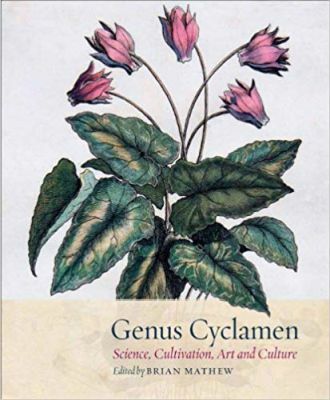 This magnum opus of the Cyclamen Society covers in one huge book just about everything you might want to know about the genus Cyclamen. It includes a thorough description of each of the 23 species as well as interesting chapters on a range of topics such as cultivation and even botanical illustration of cyclamen. The ‘go to’ reference book for anyone interested in cyclamen. Reviewed in TMG Journal 76. More than just recipes, this book discusses what happens to food - the time and the way in which it is grown - to illustrate just how denatured food has become in recent years. With warnings about the effects of chemicals, additives, substitutes and the whole effect of processing, this is the personal story of a dry land farming expert who originally farmed in Australia but now lives in Italy. Reviewed in TMG Journal 65. 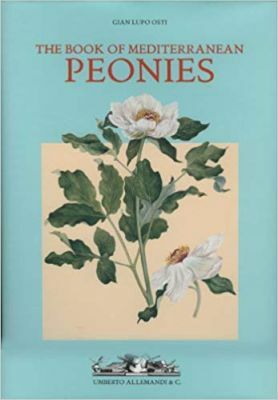 All the species and subspecies of Mediterranean tree peonies that grow wild along the coasts of the countries around the Mediterranean are here described and illustrated. The first part of the book has texts in English but greater art of the book is in Italian. Reviewed in TMG Journal 50. By the same author “The Book of Tree Peonies”. Landscape architect, designer, and master gardener, the author begins the book with nine chapters on the basic elements in making a garden which are then followed by nine more on the challenges one might meet in this process. 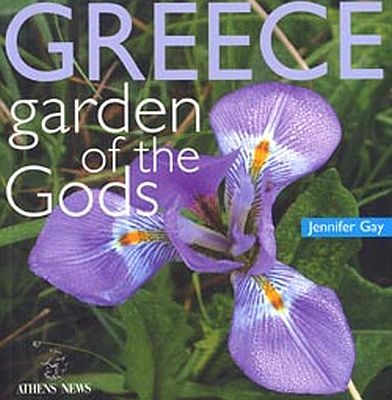 The second part of the book is a directory of one hundred plants for Greek gardens selected by the author according to her four sound criteria. Reviewed in TMG Journal 38. 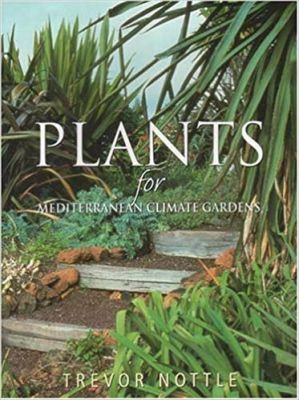 Written with his fellow South Australian gardeners in mind, this book is equally relevant for all who garden in a mediterranean climate and wish to do so sustainably. 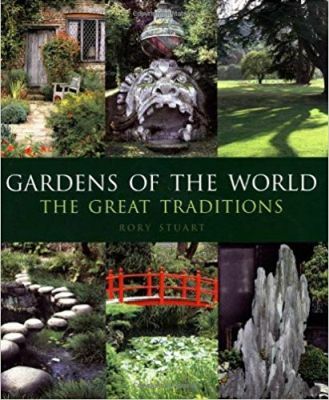 The author recommends groups of plants for specific roles in the garden and how they may be combined to good effect, urging us to cast off old habits and prejudices. Reviewed in TMG Journal 37. By the same author: “Plants for a Changing Climate”; “Roses for Every Garden”; “Gardens of the Sun”. 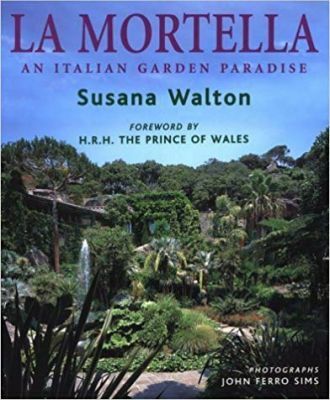 On the island of Ischia, Italy, the garden of La Mortella is a refuge of and quiet in which the English composer Sir William Walton could concentrate on his work. His wife Susana recounts the life’s work that went into her creation of this unique environment. Reviewed in TMG Journal 33. 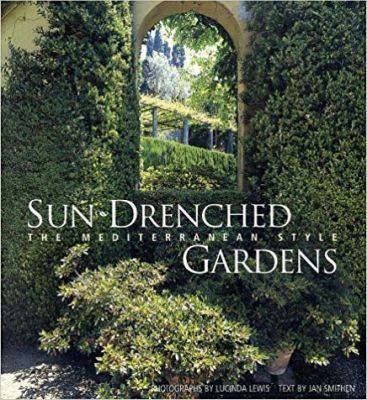 In capturing the spirit of the mediterranean style of garden, the author showcases some 25 gardens in France, Italy, Spain and California that employ drought-tolerant plants and she pinpoints their hallmark design features. Illustrated with 200 photographs taken in a variety of private and public gardens. Reviewed in TMG Journal 31. 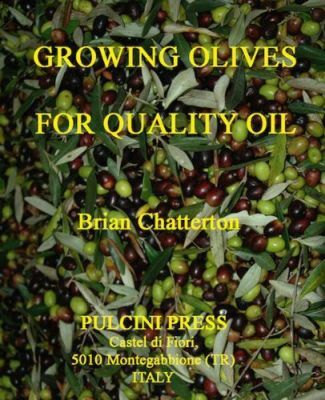 The author was one of the first to truly explore mediterranean gardening with this very readable and practical book. Having managed a nursery and garden design business in Majorca for many years, the author became a recognized expert and conveys his knowledge and ideas in a compelling way. The book offers a sea of ideas for stylistic and plant choices, with appealing photographs as well as details on the habits and growth needs of many plants. 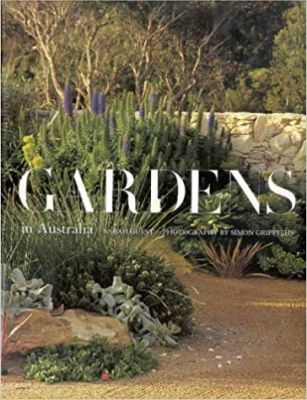 This book surveys the breadth of great garden styles to be found in Australia, reflecting not only the wide variety of climate and growing conditions but also the influence of ‘imported’ gardening traditions. Reviewed in TMG Journal 28. 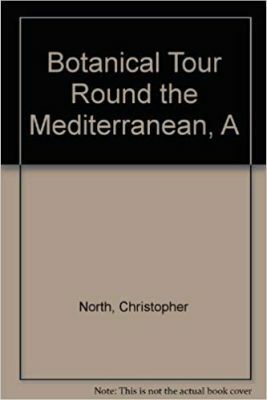 An authoritative account of travel in Mediterranean countries studying the local flora by the late head of plant breeding at the Scottish Horticultural Research Institute, Dundee. Reviewed in TMG Journal 12. 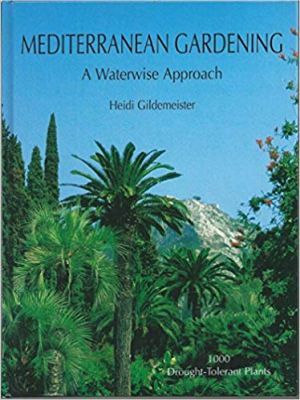 An introduction to the mediterranean garden and perhaps the first to use the term "waterwise" in gardening, this book has been the inspiration of many MGS members. 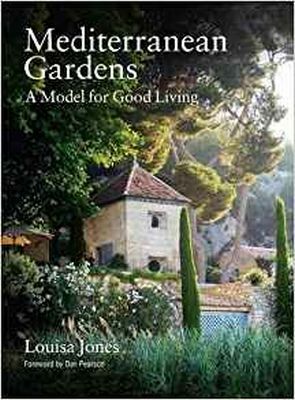 Based on the experiences of the author in making a garden in Mallorca, she starts with the fundamentals on how plants live and thrive in a dry climate. We are then led through the various approaches to designing a garden with a "waterwise" vision and explains why this is so important. Finally, she describes the many drought-resistant plants that she has successfully cultivated and recommends to fellow mediterranean gardeners. The book contains many evocative and illuminating illustrations and photos. Reviewed in TMG Journal 77.